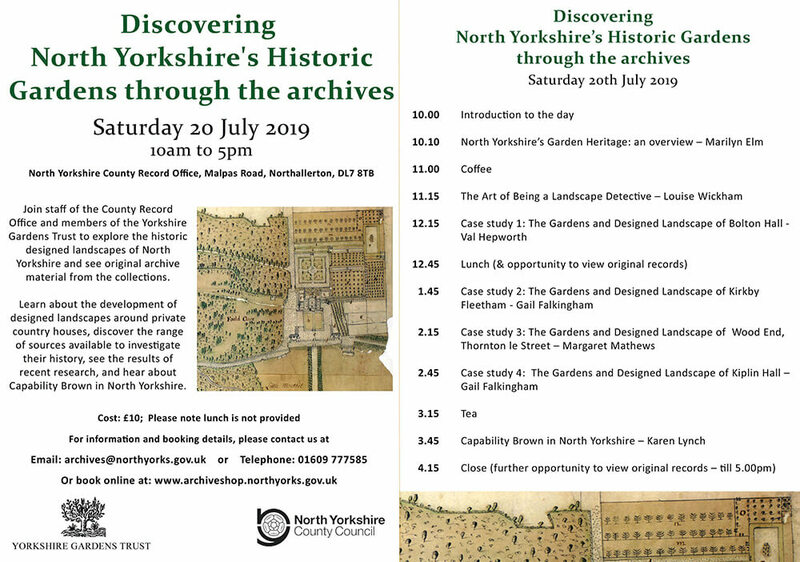 Join staff of the County Record face and members of the Yorkshire Gardens Trust to explore the historic designed landscapes of North Yorkshire and see original archive material from the collections. Learn about the development of designed landscapes around private country houses, discover the range of sources available to investigate their history, see the results of recent research, and hear about Capability Brown in North Yorkshire. Please note lunch is not provided.